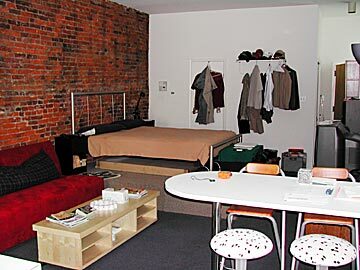 This is a large studio apartment located on the first floor or the building. It has recently been remodeled and is in great shape. 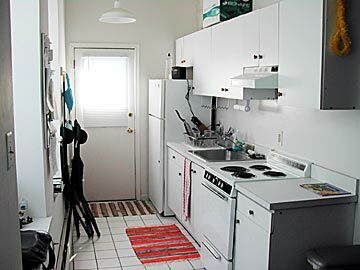 This unit comes supplied with a stove and a refrigerator. 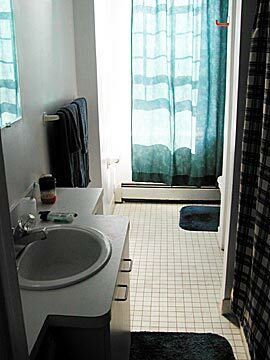 It is within a 2 minute walk to Main St. Manayunk and one block to public transportation. There is a laundry mat on the premises for all units to use. Although there is no off street parking, finding a spot within a block is not a problem. Pets are not permitted. Landlord pays for gas, heat and water. And the tenant is responsible for electric, phone and cable. Landlord also takes care of snow and trash removal. Total Sq. Ft.= 446 sq. ft.